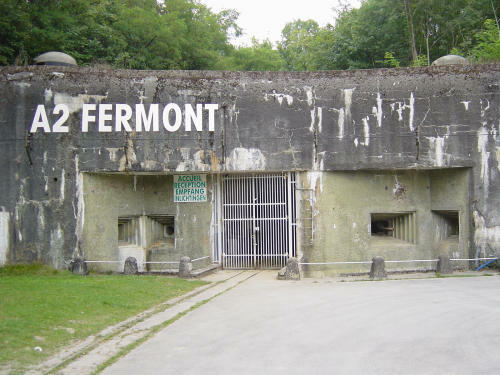 In 1929 the plan was made to build fortifications along side the border with Belgium, Luxemburg, Germany, Switzerland and Italia. The law for the construction was made by minister of war Andre Maginot and accepted in the parliament in 1930. The construction could start. 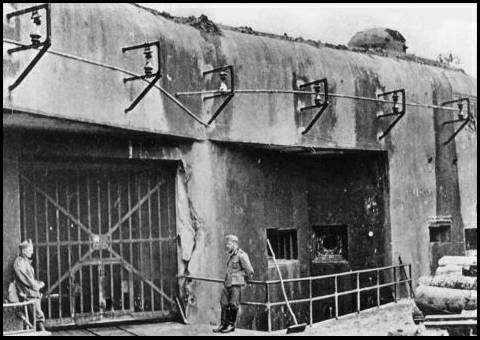 Between 1933 and 1935 the forts are armed and the interiors are finished. 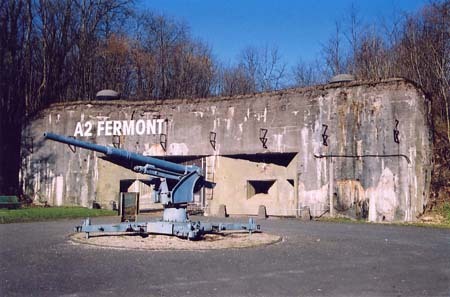 Because the Germans can attack through neutral Belgium and changes in the political situation the regions around Montmédy en Maubeuge are reinforced. The reinforcements are limited due to budget problems. 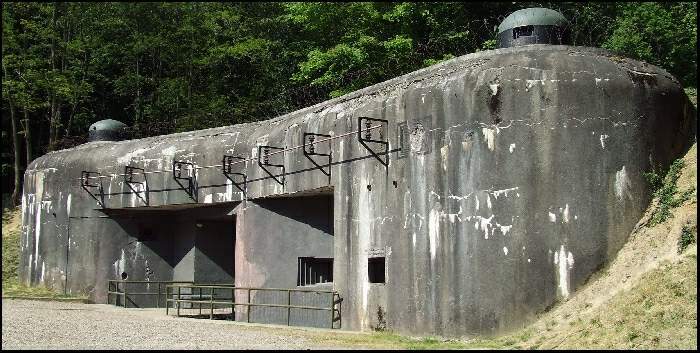 As from 1935 the line was reinforced with small pillboxes constructed by different departments. Therefore the technical department from the engineers toke over and devolved standard casemates which where less protected. 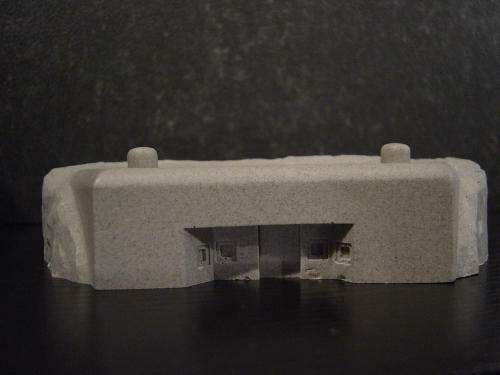 The model you can order, Ammunition entrance.